Pretty obvious that I’m obsessed with hemp seeds, more so than nuts. To me, they’re a super food with high quality protein, all the essential amino acids, and a great source of omegas. But I haven’t really tried any dessert recipes with them. 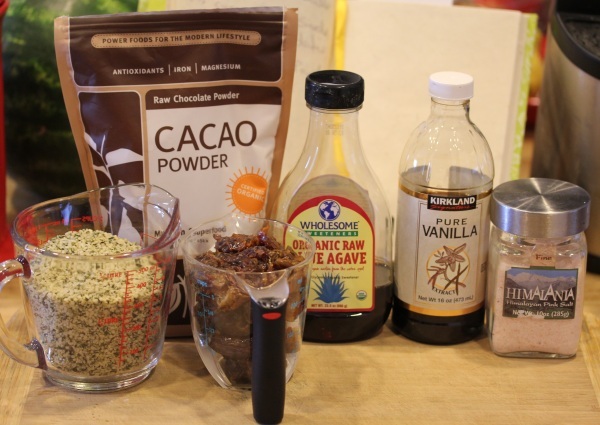 If chickpeas and black beans can make desserts, hemp seeds can make an awesome dessert. 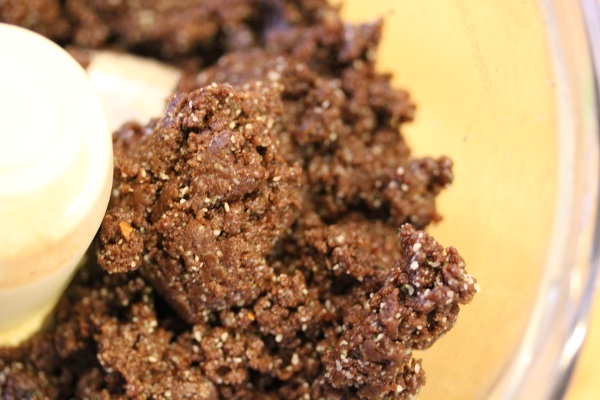 When I initially created this recipe, I was going for a chocolate protein energy snack. But it came out like a sweet, chocolate fudge. Score! 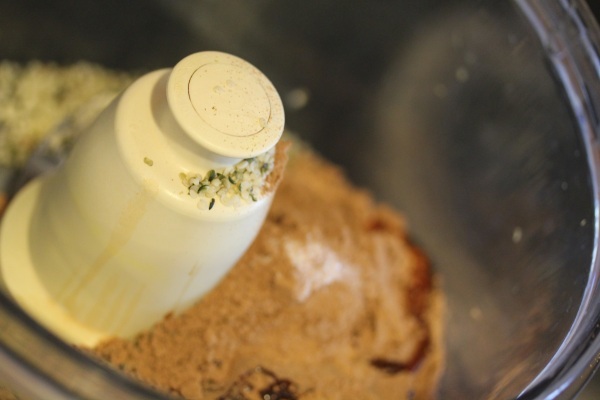 Place all in ingredients except dates into a food processor and process until well blended. 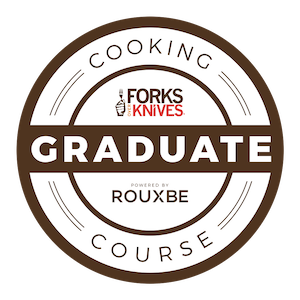 Feed dates into the food processor and process until a dough-like texture is reached. 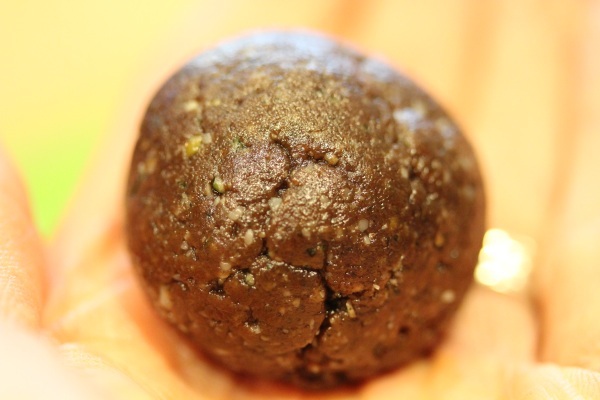 Roll dough into 1 1/2″ balls, place in fridge for about 30 minutes to chill and enjoy! Makes about 20 balls. Still a lot of visible hemp seeds in the dough, but the flavor of the gooey chocolate goodness is outrageous. The texture of the balls is like a thick, rich fudge that are soft and doughy at room temperature. And they taste a lot like fudge, rich, gooey, sweet, and very chocolaty. Unlike past ball recipes I’ve created with almond milk pulp, these are very moist and sweet – decadently sweet. You could leave the agave out to cut the sweetness back, but I adored the rich, sweet chocolate treat. 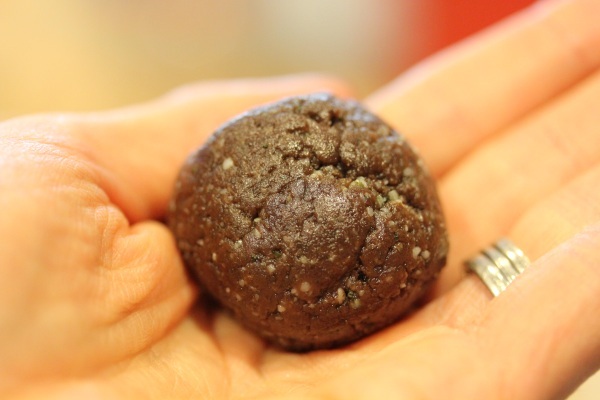 The hemp seed flavor was there, but not strong and their nutty flavor worked well with the cacao powder for a nutty, fudge brownie ball. These amazing little balls came together fast, in under 15 minutes. I used hemp seeds right out of the freezer, no defrosting needed. So hemp seeds for dessert? Yes! A perfect super food fix for a chocolate craving. And don’t forget to enter my tempeh giveaway! Oh, good. That means it’s a recipe with my name on it! Seriously this is one of your best dessert recipes…easy, chocolately, sweet, and nobake. I love it all! WAY to GO on these! Thanks, they’re super fast and easy, not earthy tasting at all. You could cut the recipe in half, or freeze half for later snacking. And you could probably do them in the Vita, but the dough is very gooey and would probably be hard to scoop from around the blade. I think I’m finally getting a day in the kitchen today and these just made the “to make” list! Woot! Yum, I’ve been smacking on them today – perfect dessert and they’d probably freeze well. thanks so much for such a delish recipe. 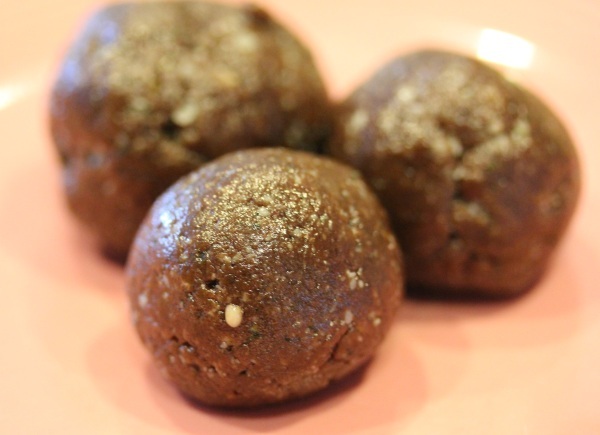 i’ve made these twice now, once with the hemp seeds and then once substituting the hemp with almond meal. both times they were amazing. thanks again! Thank you for the feedback, glad you like the recipe! I love making a huge batch and storing them in the freezer, they make a great treat chilled. This are so so so good that I felt some guilt eating more than one. It taste better than any fudge I have every eaten. I made these but halved the recipe and added some shredded coconut, flax seeds and 2 tbsp. 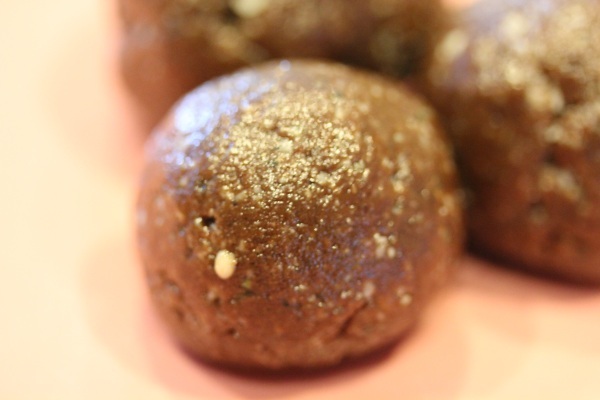 nut butter….and they are delicious!! !